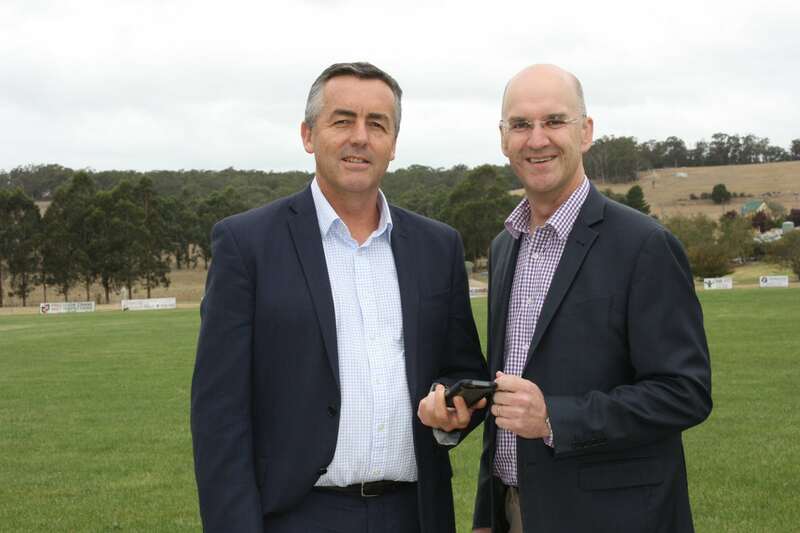 The Nationals Member for Gippsland Darren Chester, pictured with The Nationals Member for Gippsland South Danny O’Brien, is encouraging people to identify areas in Gippsland in need of better mobile phone reception for consideration in the next round of the Mobile Black Spot Program. The Nationals Member for Gippsland Darren Chester is urging local residents and businesses to identify areas in Gippsland that need better mobile telephone coverage. Mr Chester said the Federal Government had committed $25 million to further expand mobile telephone reception in regional and remote areas, including in Gippsland. “As a government, we’ve already delivered better services in Gippsland,” Mr Chester said. “Past rounds of the Mobile Black Spot Program have seen 12 mobile phone base stations either built or upgraded across our region. “This fourth round is great news for those living, working and travelling throughout Gippsland: connectivity in all its forms, including mobile phone and internet coverage, is critical to the economic growth and prosperity of regional Victoria. Mr Chester said the new funding round would enable more communities to take advantage of 21st century communications. He encouraged Gippslanders to participate in the consultation process to make sure priority regions in need of mobile phone upgrades could be identified. Minister for Regional Communications Bridget McKenzie said the new Mobile Black Spot Program round would ensure regional Australians weren’t left behind other parts of Australia. “The new round will call for applications from mobile carriers within the coming months, taking input from state, territory and local governments, as well as businesses, community organisations and emergency services,” Ms McKenzie said.